They can't all be KOTOR. I use the phrase 'worst Star Wars games' in the headline above, but that doesn't mean I hate the games on this list, as such. There are some disasters in here, sure, but also a few I have real affection for. It might just be nostalgia, but the ups and downs for Star Wars games form a fascinating arc, one that's largely tied to LucasArts' own inconsistent history as a publisher. I wouldn't recommend any of these games unless your tolerance for Star Wars is well above average. Here's how you can test that: have you read a Star Wars novel or comic in the last two years and enjoyed it? Have you seen the prequel trilogy more than five times? Have you read more than three Wookieepedia articles in the last six months on purpose? If the answer to all three is 'yes', you'll probably like some of the games on this list. Hell, I've completed at least half of them, some multiple times, but now I'm going to lightly critique them for the purposes of entertainment. And because they deserve it. 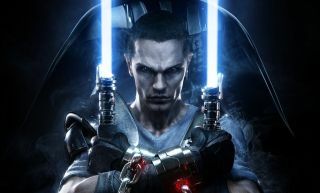 For some contrast, check out our list of the best Star Wars games on PC. I know at least one person reading this will think, "hey, I liked Rebel Assault, both for its cheesy cutscenes and the fact there wasn't a lot of other Star Wars fiction around at the time, novels aside". I feel your pain. The late '80s and '90s were fallow times for fans of the saga, and games filled that 16-year gap between the trilogies better than anything, particularly when LucasArts was on good form. This barely-interactive duo of FMV-powered on-rails shooters is significantly worse than the other Star Wars games released around them at the time, however, and they offer little beyond novelty value when you play them now. The target range-style shooting in space and on-foot obviously has nothing on X-Wing and Dark Forces. The badly lip-synced, live-action FMVs of the second one in particular have a certain ironic charm. The footage looks like it was shot in your uncle's garage, where the walls have been plastered haphazardly with bright green paper to form a green screen. I have some affection for Rebel Assault's earnest slice of budget-feeling old Star Wars, but even at the time, it wasn't good enough. Oof, it hurts to put this one in here, as I've reached the credits at least six times, most recently last year. Shadows of the Empire tries its hand at everything—third/first-person shooting, bike sections, aerial combat, space combat, turret sections, platforming with a jetpack—and is great at none of those things. It's pretty terrible to control, particularly in the on-foot levels, although the GOG version works well by default with a 360 pad. The story is set between Empire and Jedi, and sees you playing as a bargain bin Han Solo-esque protagonist called Dash Rendar, who's about as contrived and '90s as a Star Wars hero gets. Shadows' release was also heralded by a not-bad tie-in novel by Steve Perry. 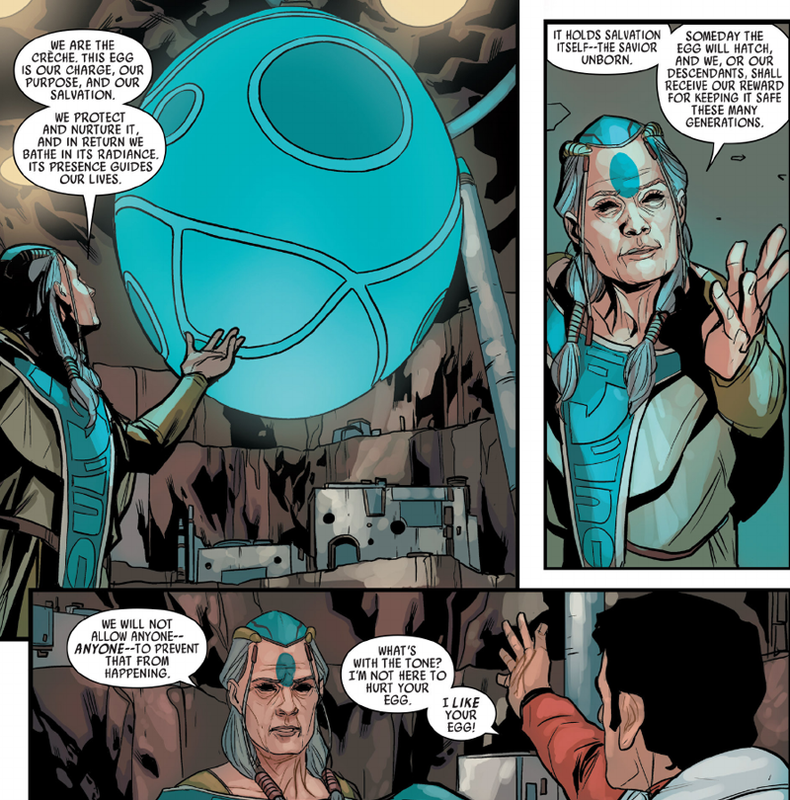 While it's barely believable as Star Wars canon, it's roughly as authentic-feeling as the stories told in Marvel's current Star Wars comics, where there's an evil version of R2-D2 and C3PO, and Poe Dameron goes looking for a giant space egg. Shadows is just not a good game, despite a fun selection of Star Wars planets, like Hoth and Coruscant, and boss fights with the likes of IG-88 and Boba Fett. It has all the right ingredients for a good Star Wars game in its choices of backdrops and set pieces—it's just a bad shooter. Better are the vehicle sections, particularly the arcadey Battle of Hoth opener. Some neat trivia: LucasArts adventure games legend Tim Schafer is credited as 'Never Actively Tried To Sabotage The Project!' on Shadows of the Empire. That's because when he was bored in the old LucasArts office making his own games, he'd go bother the Star Wars team instead (I learned that from the excellent Rogue Leaders by Rob Smith). Throwing two games out with trade embargo-lovefest The Phantom Menace was an interesting approach by LucasArts. It doubled their chances of having a hit, and they had one with the excellent Episode I Racer, which was basically WipEout with podracers. It's still not on GOG or Steam. It should be! The other was this bad third-person game that faithfully followed the arc of the much-derided prequel, taking you to Naboo, Mos Espa and then Naboo again, letting you play as a variety of heroes you had no interest in. It looked decent enough for 1999—and even features a surprising amount of story, embellishing what was already in the film, although the Liam Neeson impersonator sounds a bit like your drunk dad doing impressions at the dinner table. It's a clunky and slow action game, with a rote and unexciting translation of the Force. Plus it was pretty short, and with Racer also available on PC, there was no real reason to play this. It made little sense that the same LucasArts would publish a below-average action game just two years after Jedi Knight, but such wild inconsistency became the norm with Star Wars games. I remember reading PC Gamer in the late '90s and expecting Force Commander to be the best game ever. The idea of a 3D RTS set in the Star Wars universe was so appealing, but the finished result was such a disappointment. My main problem with the game was that the pace of the battles didn't feel nearly as dramatic as you'd hope from a Star Wars RTS. And it looked pretty ugly. Making the game 3D was a bold choice by the developer. Ensemble and Westwood were still releasing strategy games in isometric 2D at the time, and a lot of the problems around 3D camera control hadn't been resolved yet. The 3D models are boxy and lack detail, and the UI is cheap-feeling. It didn't help that Force Commander arrived during what was arguably the RTS's golden age. Players would have to wait until Galactic Battlegrounds for Star Wars to get its next translation into an RTS, and even then, stuffing Star Wars into the Age of Empires template felt creaky and inauthentic. Petroglyph's decent Empire At War, released in 2006, is probably as close as we'll ever get to the grand RTS that the films deserve. After Lego Star Wars, the direction of LucasArts' games turned further towards kid-friendly tie-ins than the more complicated likes of the Jedi Knight and X-Wing series. Republic Heroes is a forgettable appendage of the The Clone Wars cartoon, which I've tried to watch three times on the promise that it gets good after two seasons (instead I just skipped it and watched Rebels, which is a great kids' show). Republic Heroes is like a Lego game without the Lego, a light platforming game with co-op play. Why bother when there are four legit Lego Star Wars games available to play on Steam instead, and about 10,000 Lego games based on all kinds of random films and TV shows? I enjoyed The Force Unleashed and its eyebrow-raising idea that the Rebel Alliance was formed by Darth Vader's adopted apprentice, one that he never bothered to mention in the films. As an action game, though, it seemed to exist in a world where the Jedi Knight games never happened: QTEs and canned animations somehow became more important than using the right Force power or precision with a lightsaber. Despite that, its presentation of the Force as these over-the-top superpowers was pretty exciting. Plus, in 2008, when there were no new movies on the horizon, a well-produced new story set in that universe had real value. Its sequel feels like a straight-to-DVD follow-up, though, if such a thing still exists. It's too short at about five hours long, and commits the storytelling crime of having you play as a clone of yourself from the first game. Environments are recycled, and there aren't even that many to begin with—you'll have seen enough Kamino for one lifetime by the credits. It's a shame, as the combat and animations are more refined than the original, but it just feels like LucasArts had less time and money to pour into this one. Neither entry was helped by a 30fps lock on PC, and controls that only really suit a pad. On Windows 10, the Steam version crashes for me on the LucasArts intro screen. To get it to work, you might have to run it in Windows XP3 compatibility mode (thanks to WonderGamer in this thread for that solution), if you really want to bother to play it. This is one of those few instances where I'm not too distressed that Lucasfilm ditched the old Star Wars Expanded Universe and started their continuity again. It's okay to consign it to the bin, and hopefully EA's crop of Star Wars games in development yield some better results than this.